NZ Wood has announced the finalists for the 2018 NZ Timber Design Awards. As usual the standard is extremely high for this annual event, with a wide variety of designs showcasing the versatile benefits of wood. The Resident Architectural finalists vary from a ‘Family Bach’ to a ‘Origami House’. The Commercial Architectural finalists range from St Andrews College Centennial Chapel to the Wellington International Airport. NZ’s build environment accounts for 20% of NZ’s carbon footprint according to a latest study. The NZ Green Building Council has backed the study, and said the results indicated the government should be increasing resources and efforts to reduce emissions from buildings. NZGBC chief executive Andrew Eagles said the findings are “… a real wake up call for people to think more deeply about materials”. Utilising materials with lower embodied carbon such as engineered timber products will significantly reduce the gross carbon footprint. Full report linked below. Fitting a bulbous extension to ships’ bows below the water line reduces drag. Air lubrication, where compressed air is pumped below the hull to create a carpet of bubbles to also reduce drag. Replacing one propeller with two rotating in opposite directions recovers slipstream energy. Cleaning the hull and painting it with a low-friction coating. 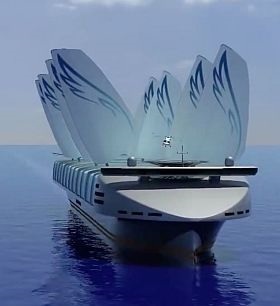 READ MORE information and see innovative designs for new ships. Supercapacitors are regarded as the batteries of the future with their ability to rapidly charge and discharge. The best super capacitors are an electrode with a large surface area and high conductivity. Low cost and sustainable production are a bonus. Current carbon aerogels meet the first two requirements but have significant drawbacks. Scientists at the University of Science and Technology of China have discovered that nanocellulose (the primary component of wood pulp that gives strength to the cell walls of trees) once extracted forms a highly porous network, which when oxidised forms a micro- porous hydrogel of highly oriented cellulose nano-fibrils of uniform width and length. These low-cost sustainably produced wood-based carbon aerogels compare favourably with commercial electrodes currently in use. The Institute of Forestry and Forest Products Institute, Japan has developed a process of crushing wood into microscopic chips by churning wood in water with metal balls. Yeast and enzymes are then able to dissolve the plant fibres without the need for sulphuric acid or high temperatures. The acid not only eliminated the woody flavour but also rendered the resultant alcohol unsuitable for human consumption. The Institute looks forward to commercialising this “wood sake” within the next three years. Initial trials were undertaken on cedar, white birch and cherry tress if anyone is considering tree selection for planting this coming winter. Recent research from the University of Sydney found that walking at an average pace was associated with a 20% risk reduction for all-case mortality compared with walking at a slow pace. 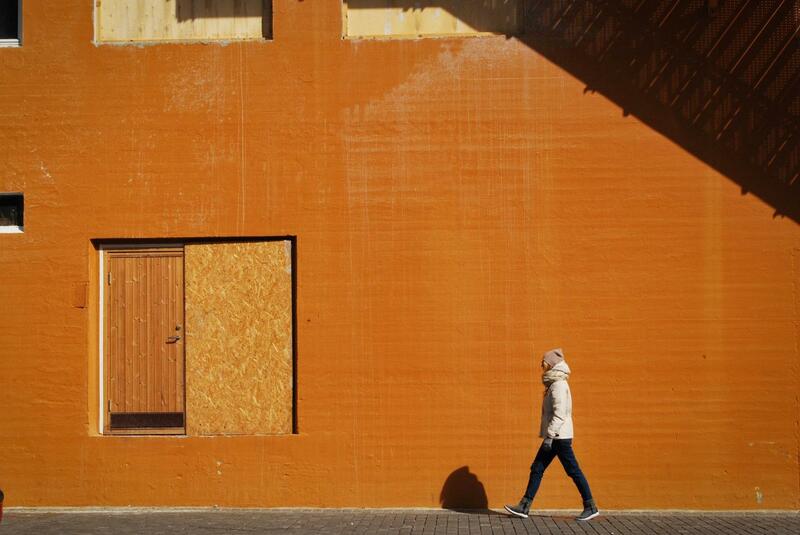 Walking at a brisk pace was associated with a 24% risk reduction. These effects are even more pronounced in older age groups. So next time you are walking through your forest walk quickly. I wonder what the percentage increase is between dawdling and walking briskly across a busy road!